The Sun House located in Singapore designed by Guz Architects is laid out in L shape with an open courtyard as the central focal point. Lushly planted roof gardens create the effect that nature is part of the house. 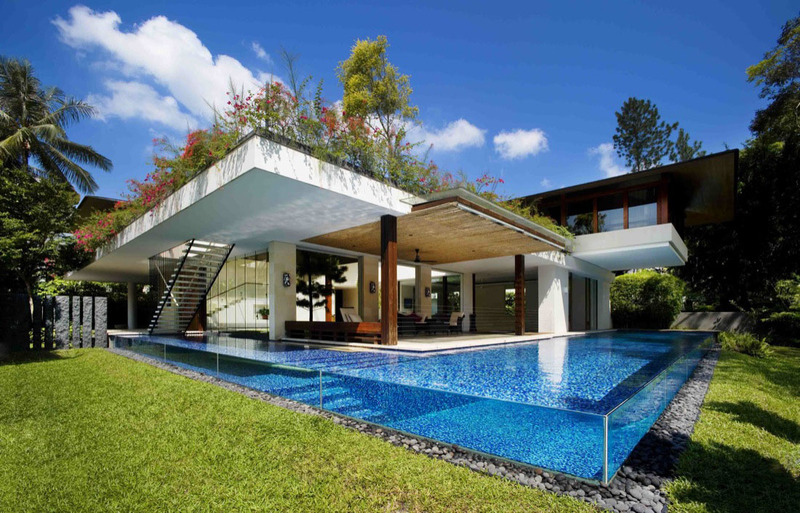 Ponds and pools serve as cooling elements for the building. 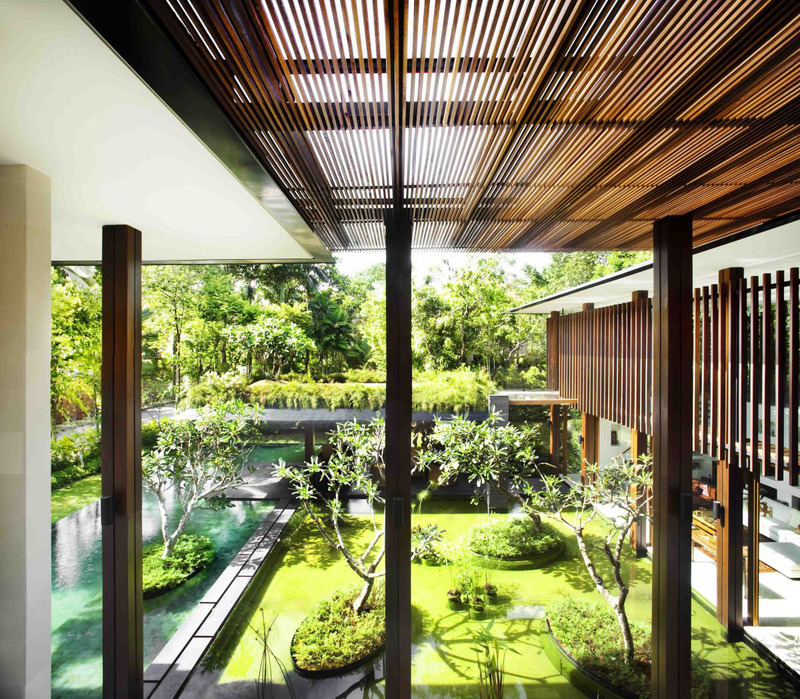 The Tangga House designed by Guz Architects is a contemporary interpretation of a traditional courtyard house in Singapore. A central green courtyard with double height stair and entry area form the focal point of the house. The open L-shaped plan with open spaces allows natural ventilation. The house is surrounded by lushly planted roof gardens. 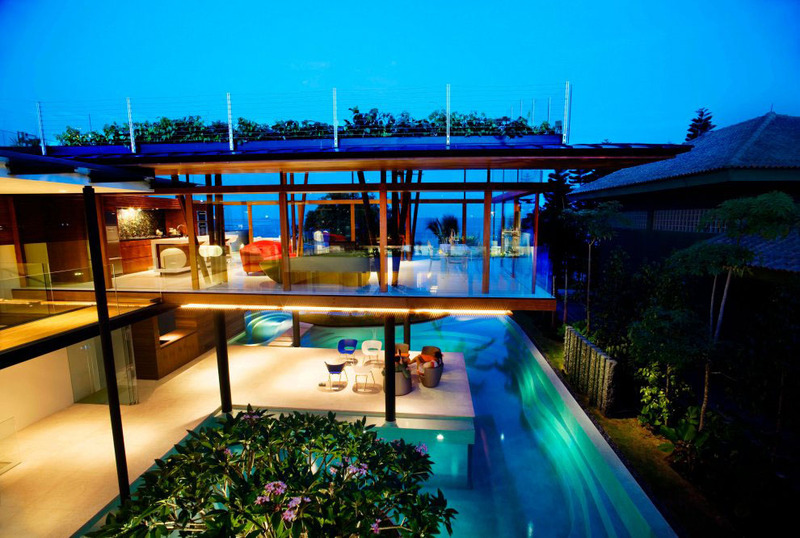 The swimming pool, which wraps around two sides of the house, is transparent both from the outside and from the inside. This inspiring design creates an environment in harmony with nature in the hot tropical climate.